Internationally acclaimed Beatles Tribute act. Playing bass in working bands since the age of 14, Ben King has played a variety of music from Old Time, 50’s Rock and Roll, Blues, Top 40, 70s and 80’s Rock. A keen Beatles fan since early childhood, Ben leapt at the chance to join Australia’s premier Beatles Tribute Show – The Beatlez (formerly The Melbeats). Whilst rising to the challenge of re-creating Paul McCartney’s stunning vocal contribution to the music of The Beatles, Ben has always been a strong believer of the significance of Paul’s bass playing in influencing the development of rock music. Aligned directly with this influence is the significance of the iconic Hofner “Beatle Bass”. Ben plays a much loved modern 40th Anniversary re-issue ’62 500/1 Hofner bass, fitted with Hofner Diamond humbucker pickups. 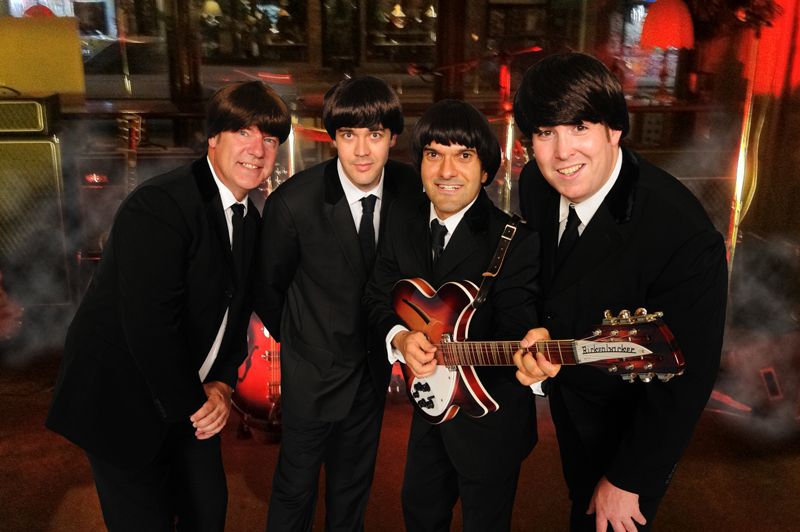 The BEATLEZ Tribute Show is one of the most internationally acclaimed Beatles Tribute acts currently active in Australia. The Beatlez strive to recreate all of the hits from the early Beatlemania days including; Please Please Me, Hard Days Night, Help, Nowhere Man, etc. The Beatlez aim for authenticity, utilizing all of the same vintage equipment as the Beatles to recreate a truly authentic sound.